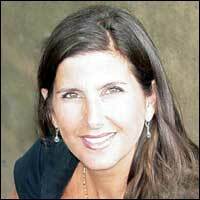 Sophia Duffy is a real estate professional specializing in Bergen and Hudson County waterfront sales and rentals. Her product knowledge, commitment, and enthusiasm and professionalism is an unbeatable combination. Sophia serves her customers the way she serves her community. She volunteers her time for the schools, the recreation department, and is an active member of the PTA. Sophia is a Realtor® member who can answer your questions and provide knowledge about the area. For further information please contact Sophia Duffy at 201-506-1000 or sophiaduffy@aol.com.